← West Coast District “Is Back”, Back in Action, Back Shuffling!! We Visit Italy in 2007 Cont’d. I tell you about the Leaning Tower of Pisa!! 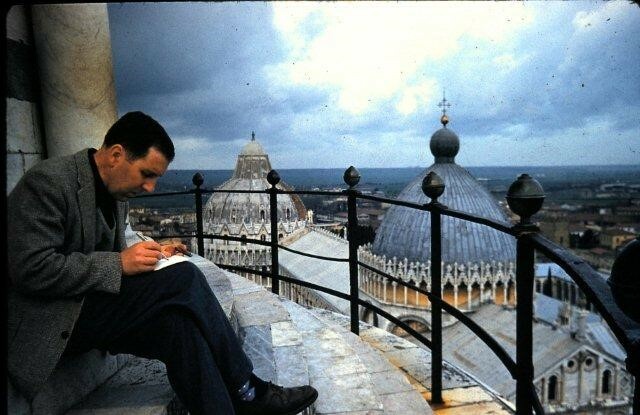 I TRAVELLED TO ITALY WITH HOWARD HILLIARD in the “50s”! While in Hugelsheim, (1956 to 1959) Germany, I was the assistant scoutmaster and met Howard Hilliard, a school teacher at the Base who like most of the teachers was on assignment from Ontario. The school system used by the armed forces in Germany was that of the ON system. Howard became a good friend of the family, often spending Sunday afternoon with us, and enjoying Sunday dinner as well. He became almost a father figure to us, smoked a pipe, cool, and reserved someone with whom we seemed to “hit it off”. He introduced Lois and I to escargot on one of our Sunday afternoon outings, complete with dinner. We still today, enjoy escargot and while it is almost impossible to purchase them in the USA, at least in FL or AZ, we normally bring a supply with us. Howard had been in the service during the war. He and I took a trip to Italy during Easter break. Trip would have been in 1958. We travelled through Switzerland and Northern Italy; visited St Peters in Rome; I wanted to stay and attend the Pope’s Easter blessing in the St. Peter’s Square; Howard, a good Presbyterian said no way!! We moved on. I shared the driving with Howard and one aspect which I will always remember is making the trip around The Statute of King Victor Emanuel, a statute in the heart of Rome. It is basically a roundabout with as I remember a minimum of 3 lanes!! It was fun. Each of you must go to Rome. Each of you must negotiate that roundabout. Rome is full of history and in total I guess we must have spent 3 days there. Must go back!! ** In fact, Wayne & Michele, Lois and I did return to Italy in 2007 09 for a 2 week plus vacation. We visited many of the same sites. 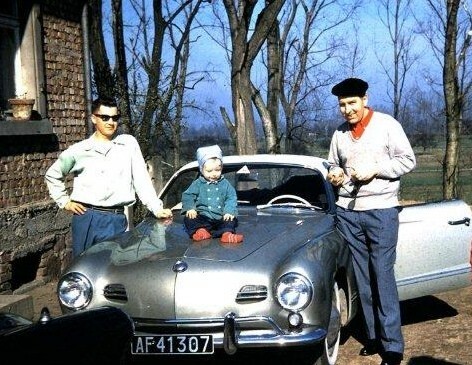 In Naples while driving slowly down the street, a boy bounded from the sidewalk and had his hand on my sunglasses that were lying on the dash of the Karman Ghia (hot Volkswagen). Before I had a chance to say anything, Howard’s hand came slamming down on that of the young intruder. Lesson learned; glasses saved! 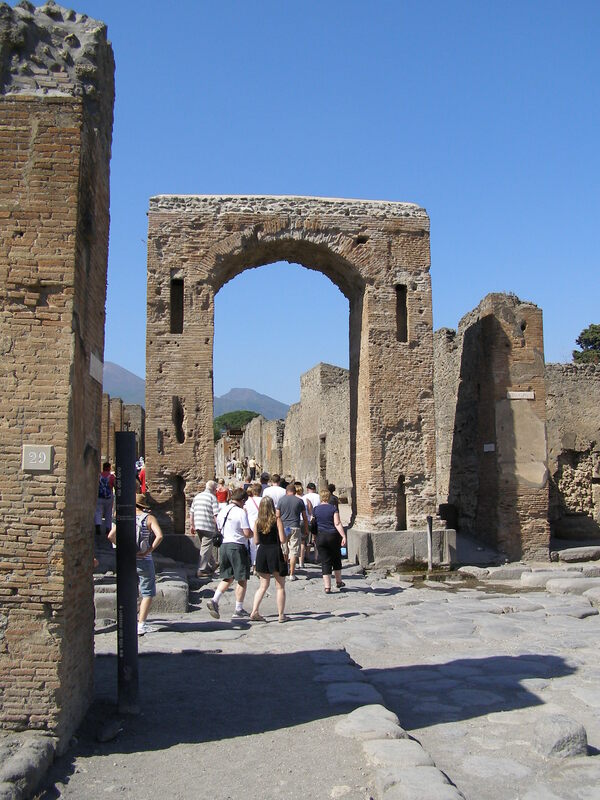 We visited Pompeii, the city covered in ash when Mt Vesuvius erupted, and enjoyed it immensely. On our way home, I think it was at Florence in northern Italy, I bought Lois a colourful, what I believed to be, a beautiful skirt. I think Howard may have provided some assistance. She did wear it quite a bit ~ but unfortunately she does not now have it!! One other unique thing I did in Italy, something no tourist can do now: We were able to climb the Leaning Tower of Pisa!! (on your left) Climb it and touch the bell at the top. I have a photograph to prove it. Not long after, this practice was discontinued. However; it has since been reinstated as the tower’s base has been strengthened.